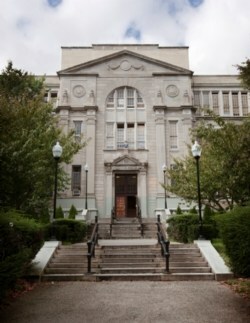 For nearly a century Abraham Lincoln High School has been a leader in New York City education. Lincoln alumni have distinguished themselves in every imaginable field, including music, sports, and science. Among our notable graduates is music legend Neil Diamond, who generously funds a college scholarship for ten graduating seniors every year. Other distinguished alumni include countless professional athletes and three Nobel laureates in science, Arthur Kornberg, Paul Berg and Jerome Karle. Our school is a community where all members help one another pursue their potential. We offer Small Learning Communities and Specialized Programs, which are explained in detail in this book. Students receive the individualized attention of Small Learning Comminutes and the resources of a large comprehensive high school. We offer a state-of-the-art photo studio, animal science labs, a vast library, multiple computer labs, three gyms and a pool. Our extensive electives, including Advanced Placement and College Classes in partnership with CUNY KCC, Syracuse University, Brooklyn College, and LIU, empower our academic achievers to complete up to a year of college credit. Lincoln is the school where students have every opportunity to pursue their potential.